Sony Ericsson has admitted that the touchscreen on its high-end Aino phone is experiencing 'issues'. This is a different way that companies say that something is not working properly. Or, in plainer English, is what we usually call 'broken'. "Aino has sold in limited numbers in the UK, and this issue affects only a very small number of customers," noted a Sony rep, which is either an utterly inspired or incredibly disingenuous way of dealing with the PR fallout associated with marketing a very expensive malfunctioning mobile phone. "Obviously we are working as quickly as possible to solve it (the issue)," Sony Ericsson spokesman Mattias Holm told Reuters. Earlier this week Phones 4U and Carphone Warehouse withdrew Sony Ericsson's new Satio smartphone because of a software problem. 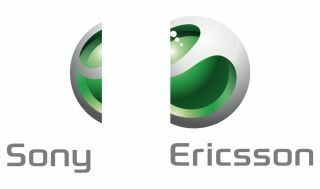 "Aino and Satio are Sony Ericsson's key products for the final quarter," said analyst Geoff Blaber from British consultancy CCS Insight. "These problems couldn't come at a worse time -- just as the market approaches the highest volume weeks of the year. They have days not weeks to fix these issues," Blaber added. You can read our full and frank review of the Aino right here.